If there’s one thing that can turn a blissful night under the starts into a miserable and uncomfortable camping trip it’s the mosquito. Those little buggers are nuisances, but if that wasn’t bad enough, they can be vectors for dangerous and debilitating diseases like Dengue fever and Ross River virus. When you’re out and about on camping trip, it’s important to do everything you can to keep mosquitos away from you and your family. However, with so many mosquito traps on the market, it can be hard to know what device will be best for your needs. So, in this article, we’ve compiled reviews of four of the best mosquito traps and repellents available in Australia to assist you with your decision. 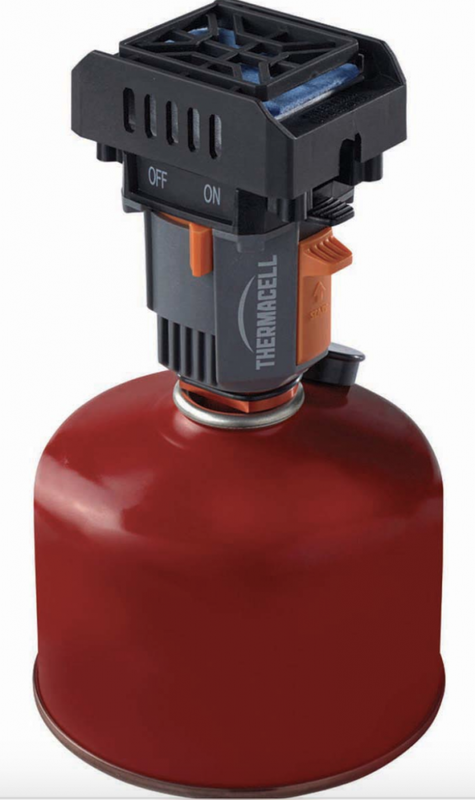 To make things easier, we’ve highlighted our top pick – the Thermacell Mosquito Repellent Unit – for its reasonable price, portable set-up, and strong repellent capabilities. 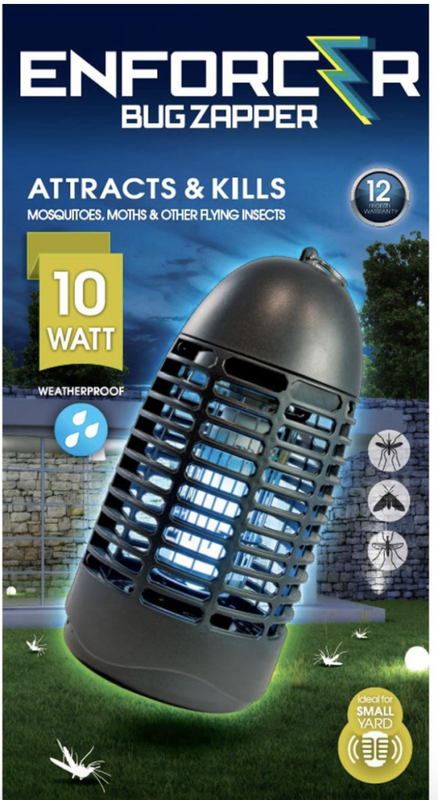 Budget-conscious campers will appreciate the Enforcer Bug Zapper, which is both cost-efficient and reliable at killing mosquitos. As with all camping gear, choosing a mosquito trap is about finding the product that’s best for your needs. Luckily, we’re here to help. 1. Type of repellent: Not all mosquito repellents are made equal. Some are more effective at repelling mosquitos while others seem to attract them. Additionally, some are harmful to pets and humans (especially small children), so they might not be ideally suited for families. 2. Duration of effectiveness: Some mosquito repelling systems require consistent replenishing of their repelling device or chemical while others rarely require any attention. If you’re out for an extended period of time or you camp frequently, you might opt for a low-maintenance mosquito trap. 3. Method: In addition to different types of mosquito-repelling chemicals, mosquito traps have different methods of emitting these chemicals, each of which has various advantages and disadvantages. Some mosquito traps don’t emit any chemicals at all, instead relying on electricity to kill the mosquitos altogether. 4. Price: Always a factor in determining what gear you’ll buy for your next camping trip, the price is important to consider when deciding between different mosquito traps. Some traps have high upfront costs but require little maintenance or replenishment over the long-term. Others have small upfront costs but require frequent replenishment so can be more expensive over their lifetime. Super compact and incredibly effective, the Thermacell Mosquito Repellent Unit is our top pick in this review. Its sleek, portable design makes it convenient to use wherever life’s adventures take you. The device uses allethrin, a known mosquito repellent that is harmless to humans and pets, so this is a great device for families with small children. The 21m2 bug-free zone is large enough to protect the whole group at dinner, but multiple devices could be combined to increase the coverage zone. The device includes four allethrin ‘mats’ and one butane gas cartridge, so it’s ready to go right out of the box. 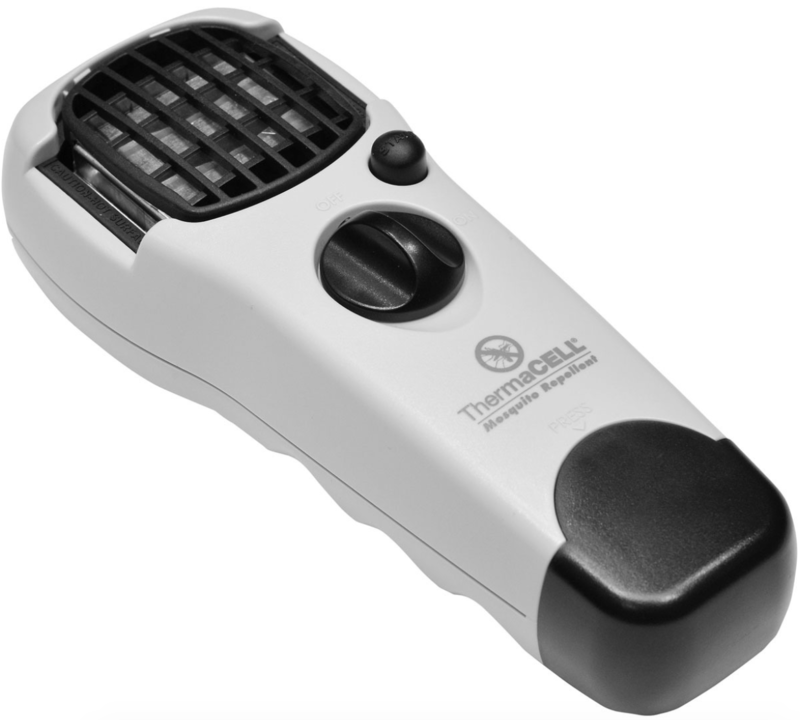 The Thermacell Mosquito Repellent Unit’s reasonable upfront cost and ease of use means it’s a sure bet. The only non-chemical-based mosquito trap in our review, the Enforcer Insect Zapper relies on electricity to protect you from the flying nuisances. The Enforcer attracts and zaps mosquitos using a weatherproof 5,000-hour (yes, you read that right) lamp so you don’t have to worry about them ruining your evening meal. Since it relies on electricity to operate, the Enforcer is effective against all flying insects, so you don’t have to worry about pesky flies, either. The self-cleaning vertical grid and removable insect tray make maintenance of the Enforcer simple and convenient. With a 200m2 coverage area, this is a truly fantastic mosquito trap that won’t let you down. Campers with families might want to consider that the electric bulb could be dangerous to pets or small children, so the device must be used appropriately. The Enforcer’s very affordable upfront investment and minimal maintenance costs mean that it’s great for budget-conscious campers. 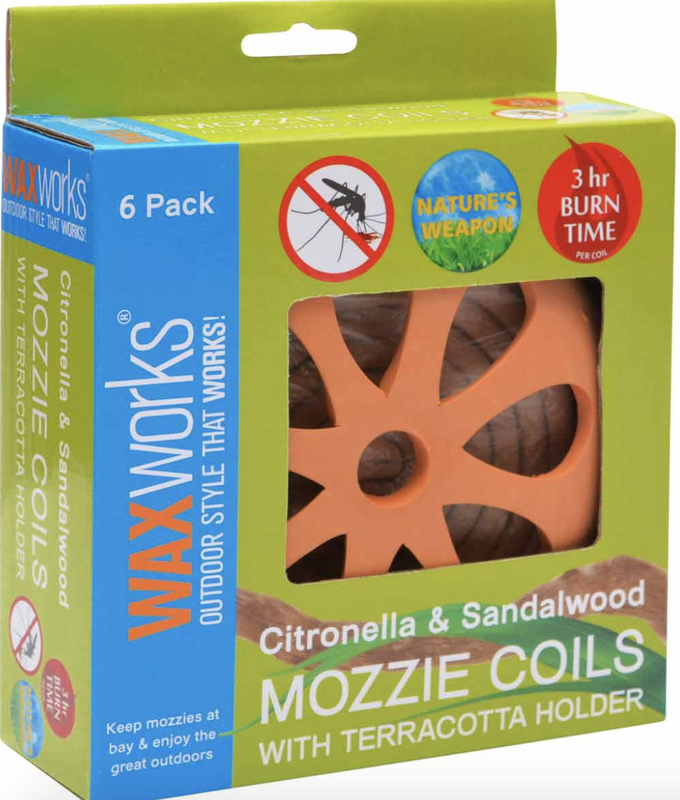 Environmentally-conscious campers in mosquito territory can rejoice with the Waxworks Citronella and Sandalwood Coils. The coils use nature’s mosquito repellent – citronella – to effectively deter those flying pests without resorting to man-made chemicals. Waxwork’s citronella and sandalwood coils safely burn for three hours each inside a purpose-built and aesthetically pleasing terracotta holder, so you can enjoy your camping vacation without worry. Campers will have no regrets with this set-up from Waxworks as the coils are affordable, easy to use, environmentally friendly, and smell great when burnt. We’d recommend the citronella and sandalwood coils for use while car camping instead of backpacking because the terracotta holder makes them a bit bulky for lightweight endeavours. 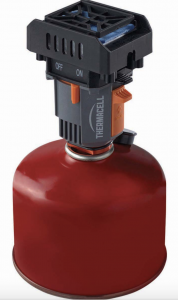 Yet another great mosquito trap from our friends at Thermacell, the Backpacker Mosquito Repeller fits securely on top of a camping gas canister and burns allethrin to keep the mosquitos at bay. With a great 21m2 protection zone, the Backpacker Mosquito Repeller is perfect for use with the whole family. 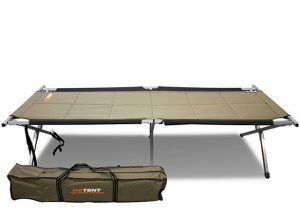 The Backpacker comes with 3 allethrin mats for 12 hours of protection but a small 100g fuel canister can work for a whopping 90 hours with this little device. The Backpacker Mosquito Repeller even comes with a water-resistant carry pouch to make transport a breeze. The most expensive mosquito trap in our review, the Backpacker Mosquito Repeller is a great option for campers looking for quality and fuel efficiency in their devices. This lightweight and portable mosquito trap is great for families and solo backpackers alike!